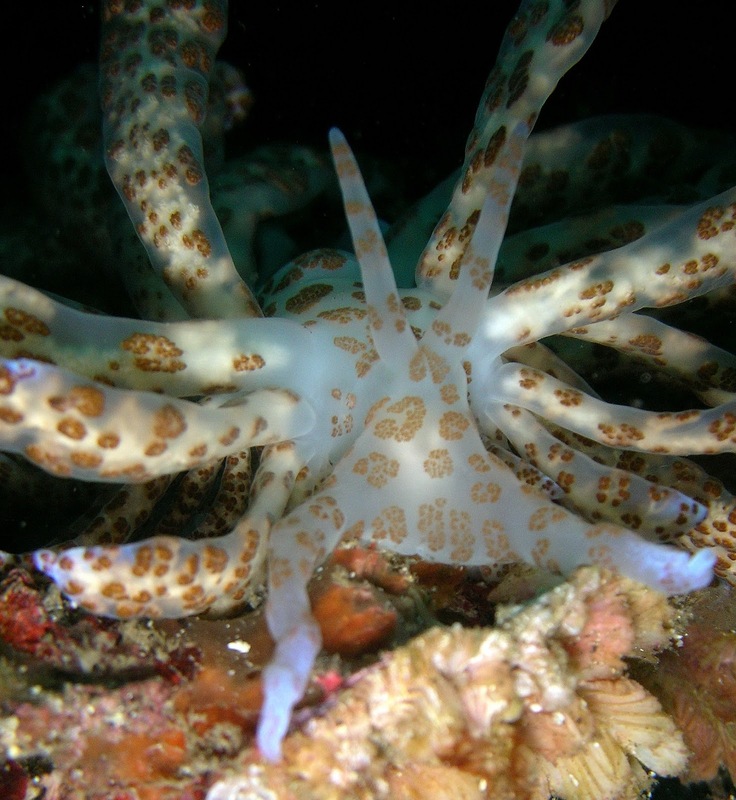 It's Phyllodesmium longicirrum, a nudibranch from Indo-Pacific waters. And it doesn't include the extraordinary collection of dreadlocks that cover their entire body. These dreadlocks are known as "cerata". 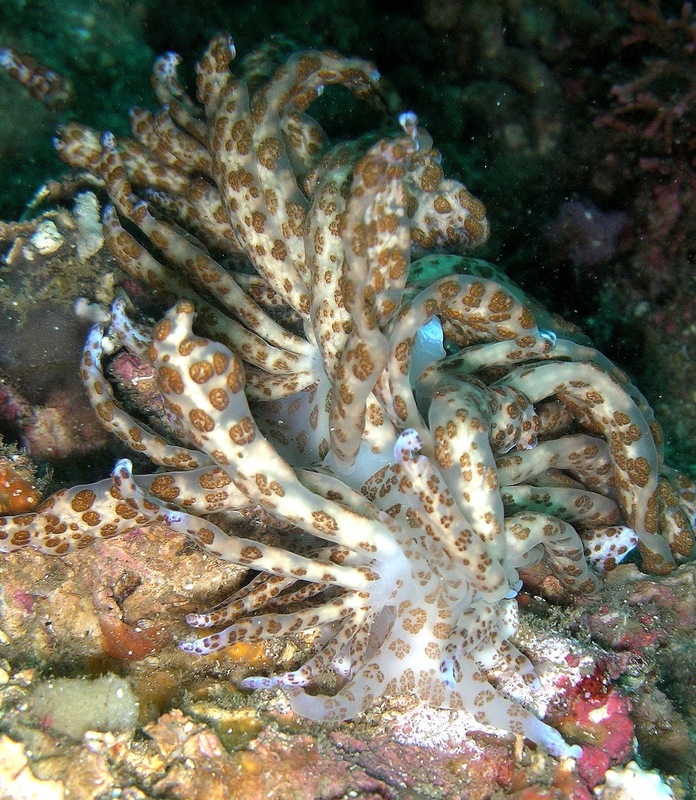 P. longicirrum is a kind of Aeolid nudibranch, and the thing about Aeolids is they lack gills. They take in oxygen directly through their skin, instead. Cerata increase an Aeolid's surface area and ensure they get all the oxygen they need. But there's more to it than that. The cerata also contain parts of the slug's digestive gland. And with P. longicirrum's unusually thick and long cerata, that's a lot of digestive gland! So it's not all that surprising to learn that those cerata are packed full of algae, all supplying their slug landlord with lots of the food they manufacture via photosynthesis. 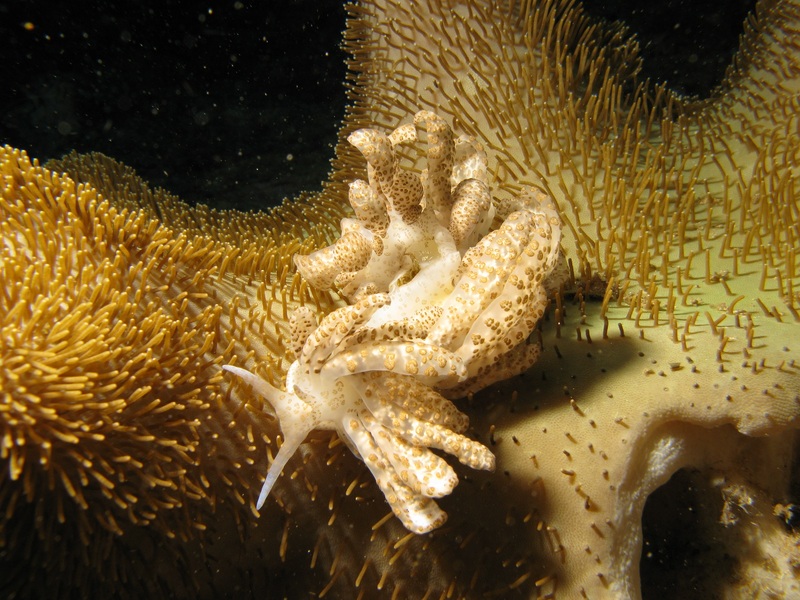 P. longicirrum is not 100% solar-powered in this way, since they also feed on a soft coral called Sarcophyton. 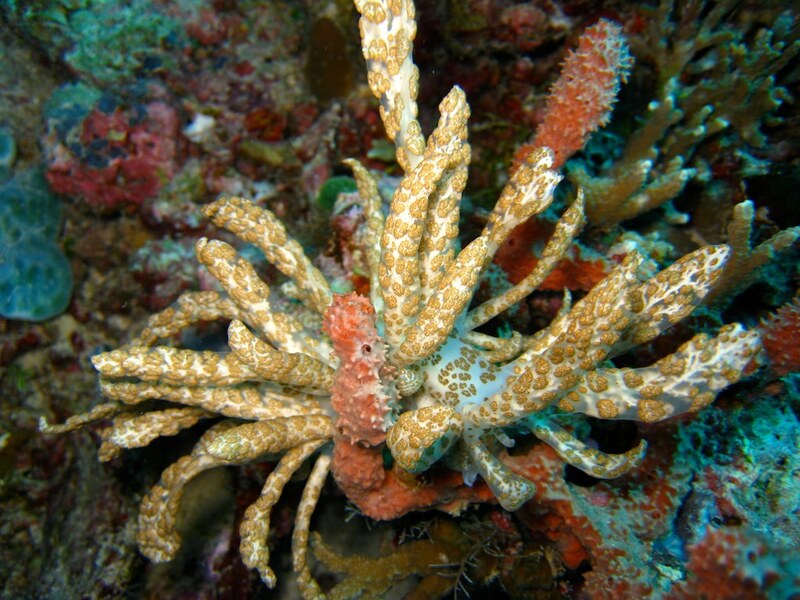 In fact, eating this coral is probably how they acquire all that algae in the first place! It's nice to see a slug playing its role in saving the planet - and a nudibranch demonstrating that you don't need to be ridiculously colourful to be ridiculously extravagant! Ugh, it looks like it's infected with a cordyceps fungus. @TexWisGirl: Hahaha! That might need larger gates and fences than you're accustomed to! @Crunchy: Eugh! That would be a particularly bad case. Hahaha! I guess it's good to change it up a bit!